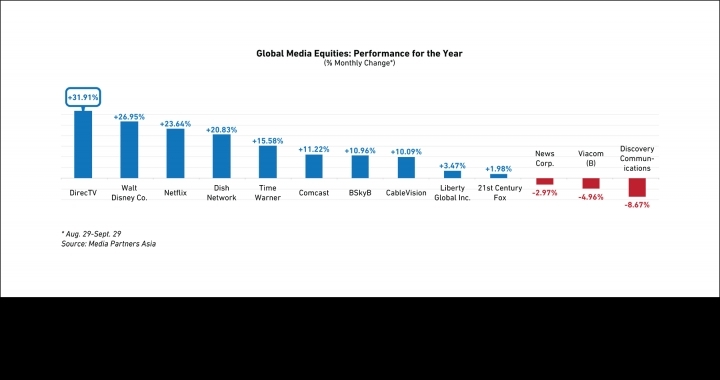 HOW HAVE MEDIA STOCKS PERFORMED SO FAR THIS YEAR? 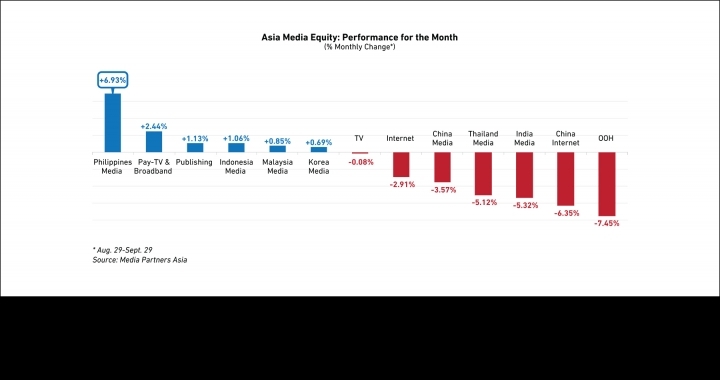 Media equities in India are enjoying a new lease of life, outpacing other markets in Asia with a 17% boost for the year so far, according to the latest indices from industry analysts, Media Partners Asia (MPA). 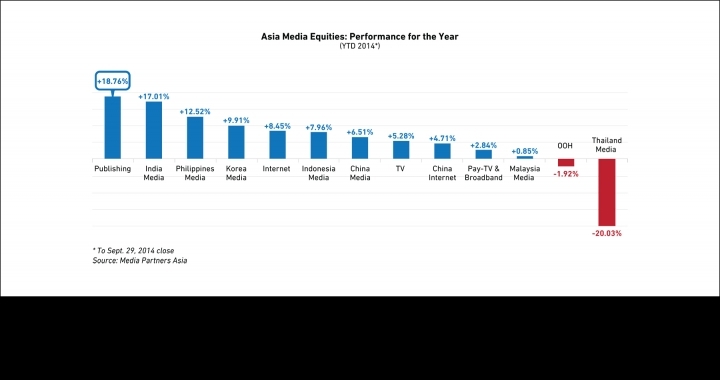 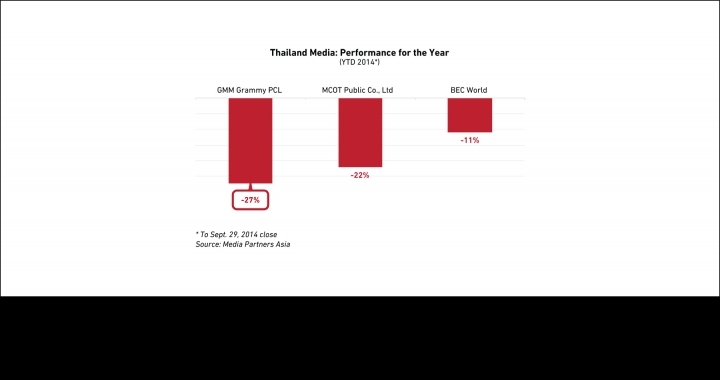 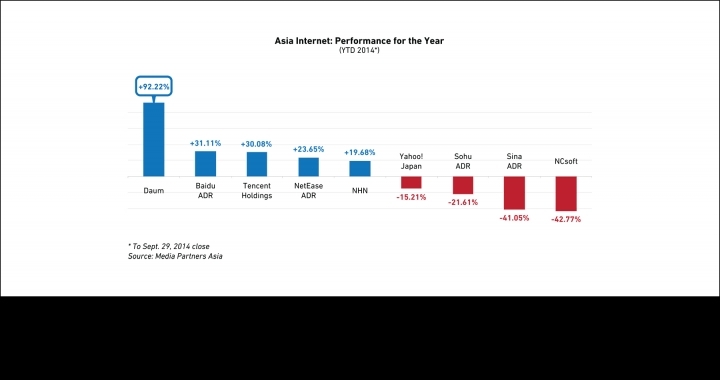 Share performance, captured for listed media companies across Asia in our 16-slide presentation, are measured for the year to Sept. 29 close. 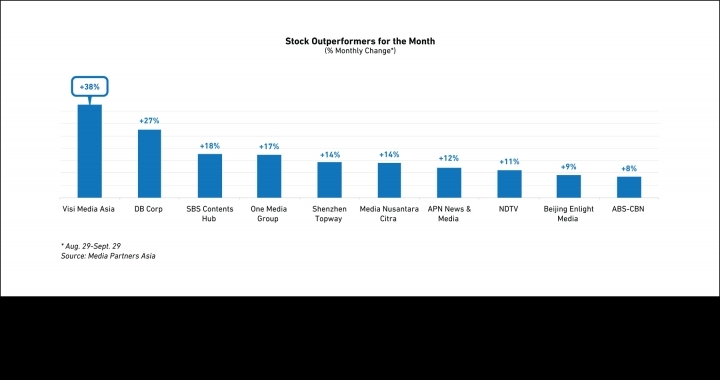 India’s share price momentum is due to a national stock market rally, benefiting multiple media sectors (slide 8), including publishers and news broadcasters that had been struggling in a tough ad market. 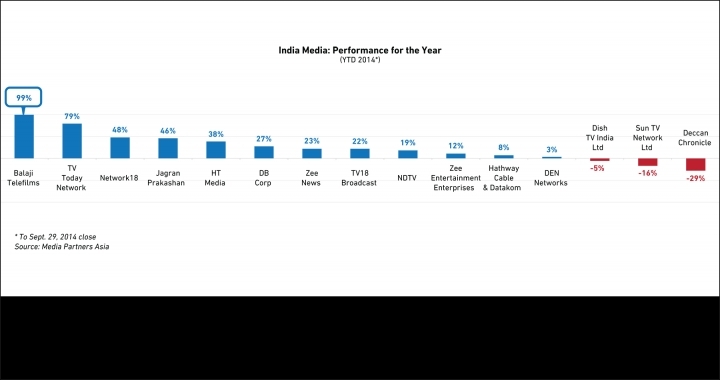 This market buoyancy reflects investor confidence that packages and reforms from India’s new government are going to deliver significant economic growth. 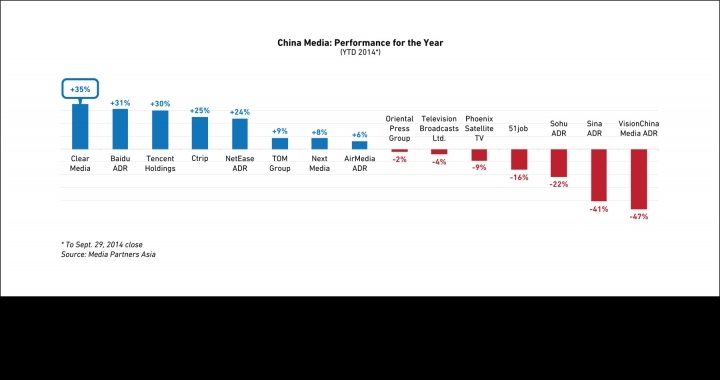 Elsewhere, global media majors have also had a good year (slide 3), largely thanks to decent operating performances as well as a touch of M&A fever. 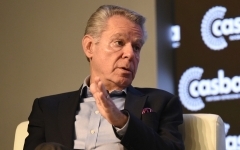 DTH player DirecTV has seen the biggest gains, despite skepticism on the benefits of a potential merger with telecoms giant AT&T – testimony to its resilience at home in the US as well as robust growth abroad in Latin America. 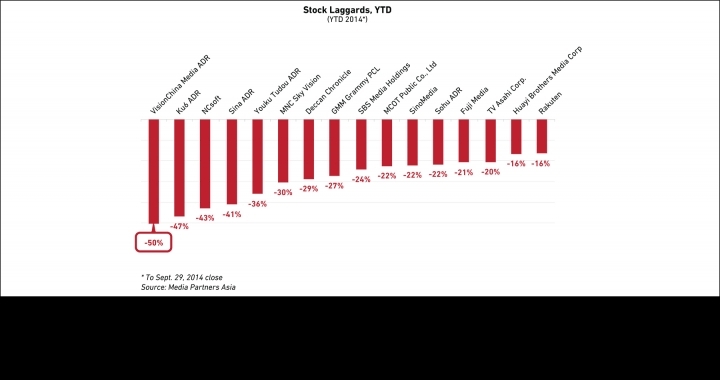 Walt Disney, Netflix and Dish Network are also all up more than 20% for the year-to-date on the back of strong operating performances, followed by double-digit lifts for Time Warner, Comcast, BSkyB and Cablevision. 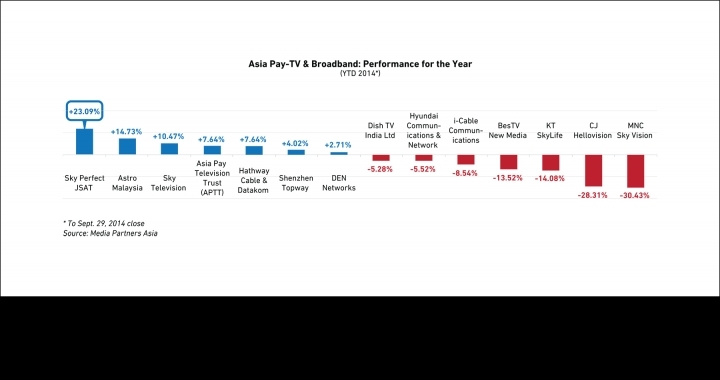 In Asia, the big surprise lies in Indonesia (slide 10), where shares for the country’s biggest pay-TV operator, MNC Sky Vision (MSKY), have shed 30% over the course of the year. 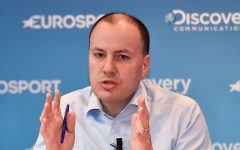 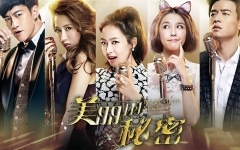 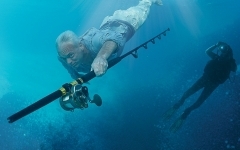 MSKY remains in good shape with 74% market share, indicating the company could be undervalued, but it’s facing increased competition from both cheaper as well as illegal services. 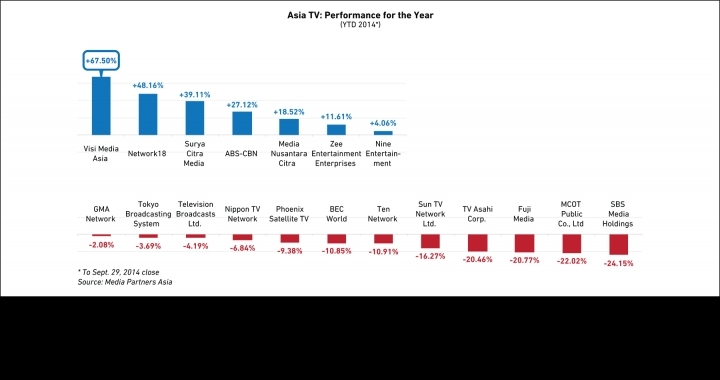 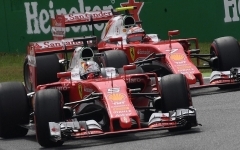 Indonesian media valuations as a whole are up 8% year-to-date. 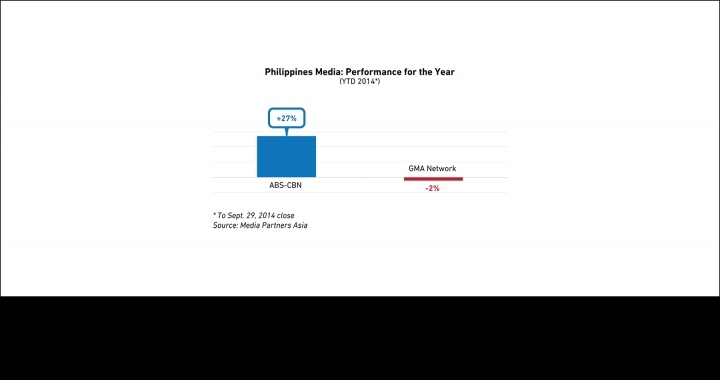 MKSY spiked up 22% on Sept. 26 in a fresh sign of positive activity for an illiquid stock.